The MPSH Scheduler is nominally priced to allow it to become a scheduler tool in most plants. It is available for purchase using the form below. For other methods of payment, contact us. When you click 'Place Order,' you will be directed to the safe and secure Paypal service where you will complete payment. The User Guide includes instructions for creating the weekly schedule and administrator instructions for initial set-up. The initial MPSH Scheduler is fully functional, but has an expiration period (typically two months). After setting up and using the spreadsheet to determine suitability for acceptance, the Purchaser returns the spreadsheet to RP&A who removes the expiration function and delivers back the unrestricted version. (This turnaround allows keeping the Purchaser settings and allows RP&A to have an up-to-date copy allowing better support later, if required.) The spreadsheet then will never expire. (If the Purchaser does not email back the copy for removing the expiration function within the expiration period, the Purchaser may still later have this function removed, but may not ask for a refund.) The purchase price includes telephone and email support plus any upgrade in functionality and compatibility (with future operating systems and versions of Excel) for one year. Optional support for subsequent years may be continued from RP&A at $250 per year. Only the Purchaser (the named company at the named facility on the Start tab) may possess this spreadsheet. This spreadsheet is protected by non-disclosure agreements between Purchaser and Richard Palmer and Associates (RP&A). By purchasing this spreadsheet, the Purchaser agrees not to give copies of this spreadsheet to other parties and may not disclose details about how it works without permission from RP&A. Possession of this spreadsheet by unauthorized users violates US and international software laws. This spreadsheet helps users select work orders from existing backlogs. However, it is recognized that users of this spreadsheet best understand their particular equipment with its unique maintenance requirements. Therefore, RP&A makes no warranties and is not liable for any unintended result encountered during any facility maintenance or operation. 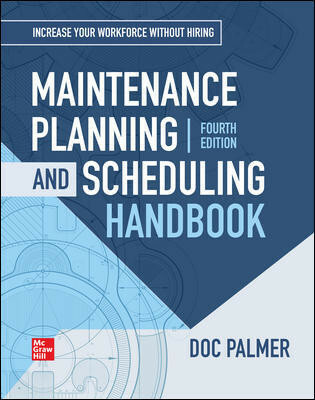 At this time, the MPSH Scheduler is only available for direct purchase by practitioner companies. Third party consultants or software providers should contact Richard Palmer and Associates for licensing arrangements.